Some very rich men are about to be handed a load of free mobile phones, thanks to a deal between Huawei and Arsenal to declare the smartphone maker the official tech partner of the London club. The deal starts now and lasts until the end of the 15/16 session, and will see Arsenal players in Huawei ads and more cross-promotional marketing fun. 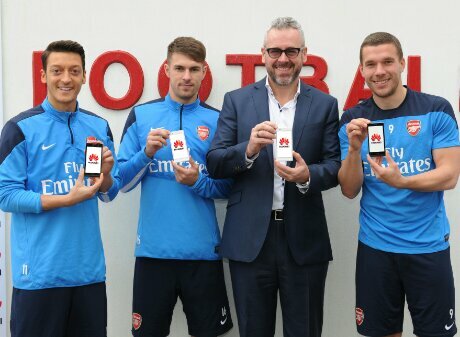 [London, United Kingdom, 20 January 2014]Huawei, the leading global information and communications technology (ICT) solutions provider, and Arsenal Football Club today announced a new partnership, which will see the telecommunications specialist become the Official Smartphone Partner of the north London club on a global basis. 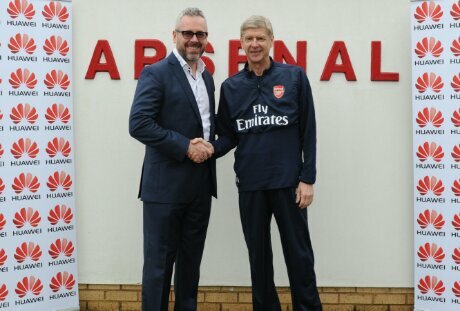 Huawei and Arsenal announced the global deal, which lasts until the end of season 2015/16 at the Arsenal Training Centre in Colney, Hertfordshire, with members of the first team including, Aaron Ramsey, Lukas Podolski and Mesut Özil along with manager Arsène Wenger. The partnership will be officially unveiled to supporters at the Emirates Stadium in London before the Premier League clash with Fulham Football Club on Saturday, January 18, 2014.